The Border Battles are part 2 of the All State Games. We will choose player from the 8th grade girls' and boys' All State Games to compete against All Star Teams from Oklahoma and Louisiana. Only players who attend the Nomination Camp will be eligible for selection to the Border Battles. Game shirt will be provide. All 5th/6th grade all state participants are required to where black shorts. Uniforms will be passed out at Noon check-in. Uniforms colors are Carolina Blue & White. Uniforms will be passed out at 2 pm check-in. Uniforms will be passed out at 3 pm check-in. 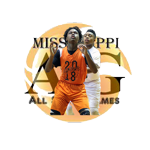 The All State Games is the first part of this 2 part of the All State Games Series. Players will be chosen from the 7th grade girls' and boys' and the 8th grade girls' and boys to take part in a North/South Battle. ©2019 Delta Report / SportsEngine. All Rights Reserved.